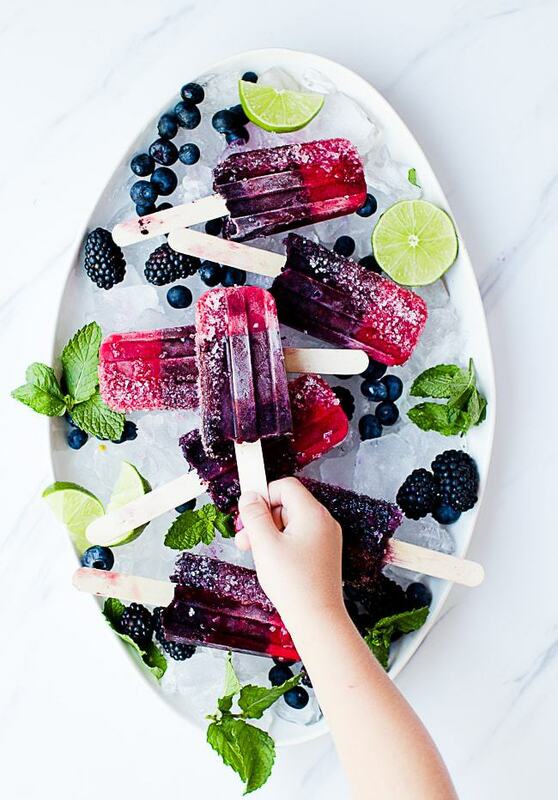 I like to start by making the honey lime mint syrup for these berry popsicles. 1.In a blender add your lime, mint, and honey and blend until purred. you can also chop your mint ultra fine and stir to combine. 2. In three separate bowls add 2 tbs of the syrup. You are preparing to add the berries! You really can use any of your favorite three berries to make this recipe. Use what is fresh, ripe and in season as they will give you the best and richest flavor. 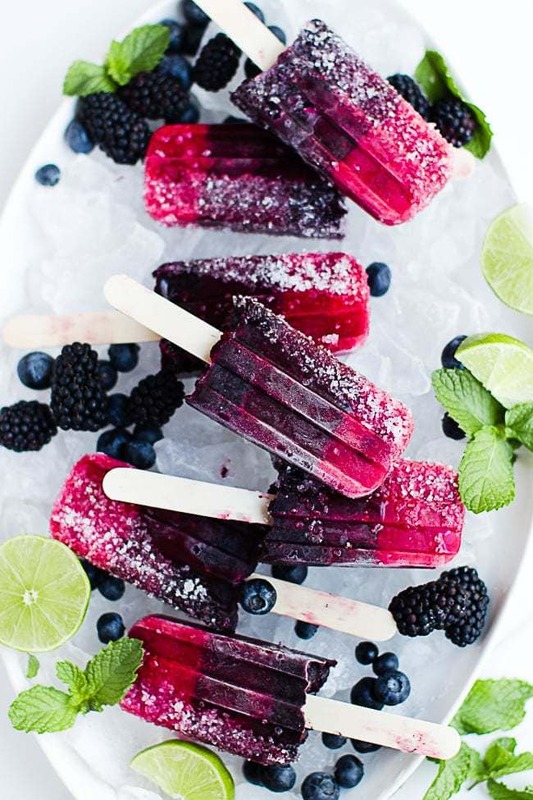 Making the popsicles ultra sweet without adding any sugar. Can you substitute with frozen berries? 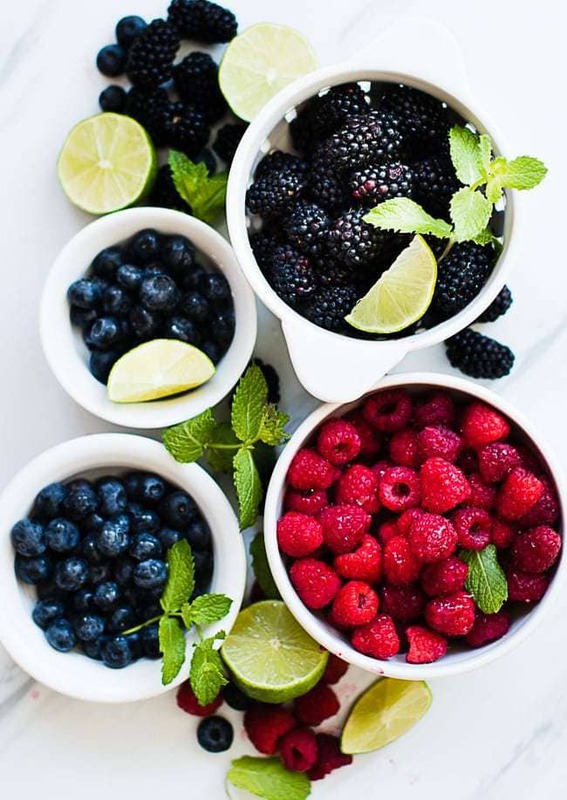 Yes, You can totally substitute with frozen berries, but they might not be as sweet as fresh berries so make sure you are taste testing along the way, adding more honey or sugar if needed to your desired sweetness. Now that you have your berries washed, and your syrup made take 1 heaping cup of each berry and place in the bowls. in a blender blend each bowl separately and return back to bowl. 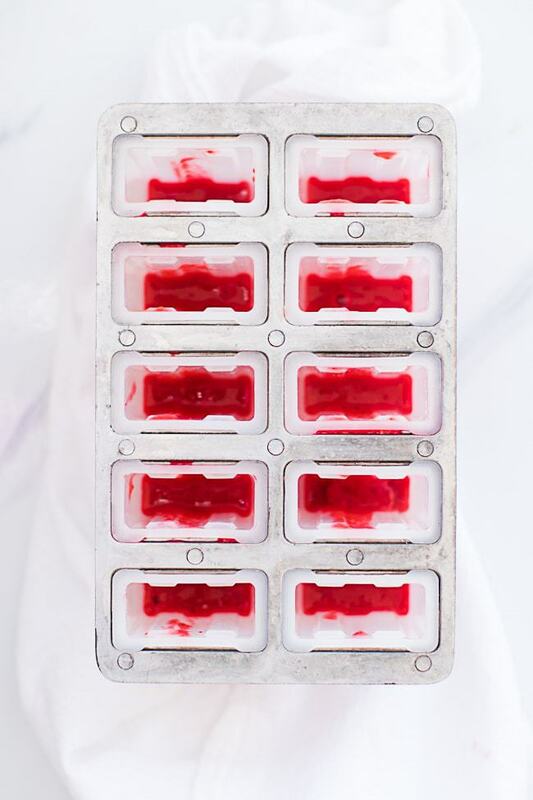 Now to freeze your popsicles so that have the ombre look, start with the raspberry puree and pour into your mold. My mold holds about 4 cups of liquid, so I put about 2 spoonfuls of puree in each popsicle. I like to start with the lightest color and move to the darkest. Let it freeze for about 15-30 minutes and pour the next layer in. After you have added the 3rd and final layer add the popsicle sticks and let it freeze until its nice and hard. 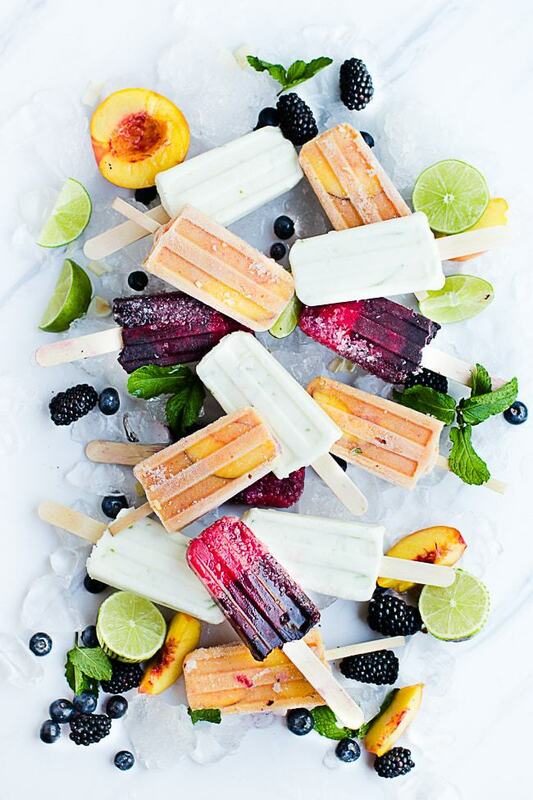 To party these popsicles up add a light coating of course sugar to a side of the popsicle. Your kids and friends will go nuts over them! Let the popsicle freeze for 30-60 minutes, the liquid will firm up and then you can add the stick. Purchase a mold with a lid included- mine came with a lid with slots so I can slip the sticks in and they stay until frozen. My popsicle mold is different than yours. How do you know how much liquid to add? Because we don’t all have the same popsicle mold (you can get mine from amazon here) it can be tricky to know how much to make in advance. Before making the smoothie pour water into your popsicle molds 1 cup at a time. My molds hold about 4 cups of liquid. If I’m adding fresh fruit then I don’t need to make as much. But now I have a good idea on how much to make. This peaches and cream smoothie popsicle recipe makes 4 cups. If you have extra serve to your kids as a drink! Love this recipe?! Want more Oh So Delicioso in your life? Follow us on facebook or instagram!! We’d love to become friends and get to know you! 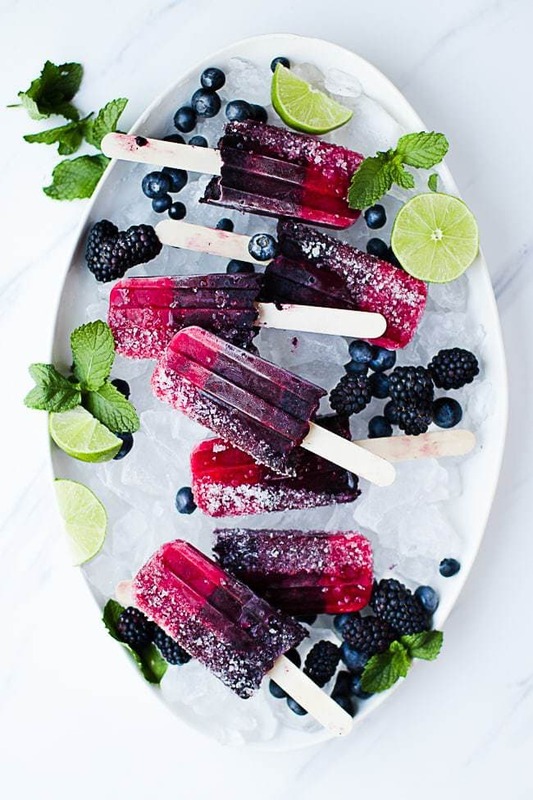 Delicious, icy triple berry popsicles with a cool lime mint sweetness. Sure to be a crowd please for all your hot summer days. In blender blend honey, lime, and mint leaving until well incorporated and mint is minced. Separate 2 tbs of syrup into three separate bowls. 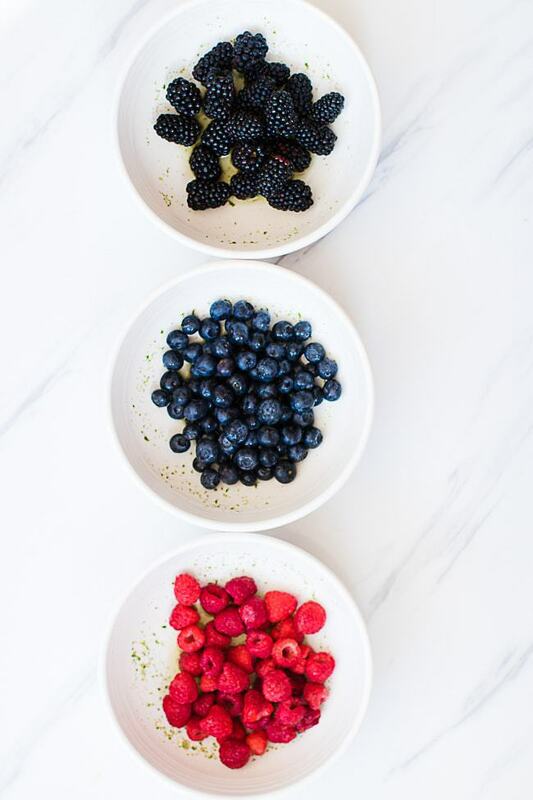 In each bowl add a different berry with the syrup. 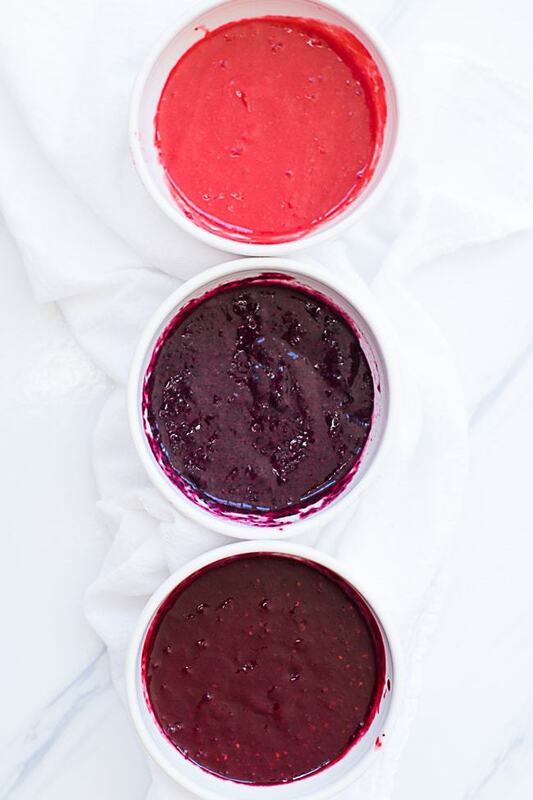 In blender blend each berry with its syrup in bowl until fruit is pureed. Return to bowl. 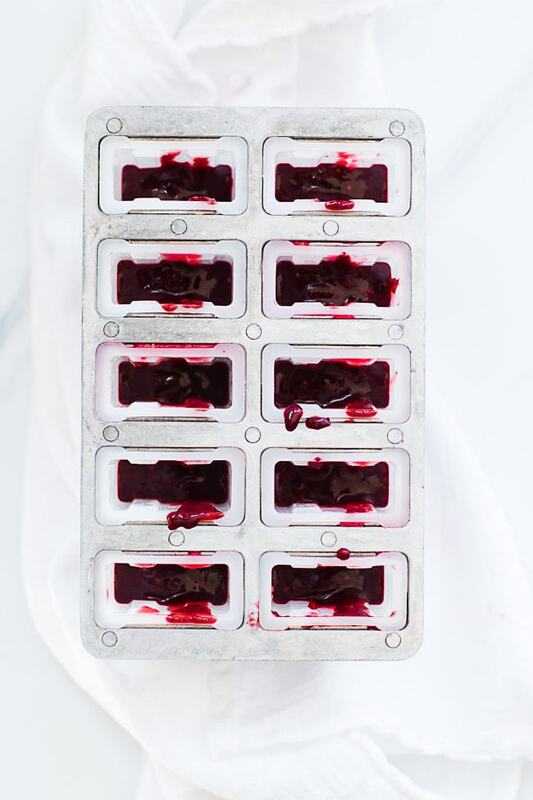 In popsicle mold add raspberry puree first to mold and return to freezer for 15-30 minutes. 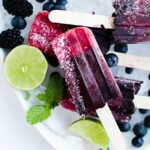 Remove from freezer and add blueberry puree to popsicle and return to freezer for 15-30 minutes. 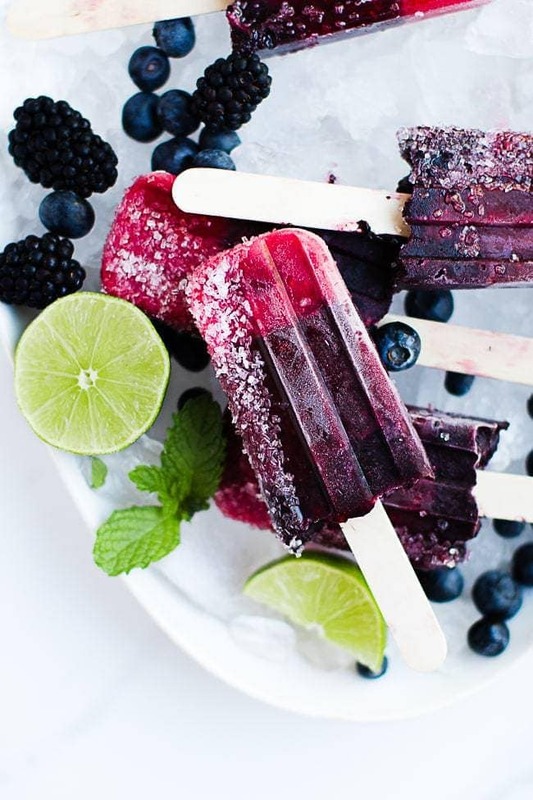 Remove from freezer and add blackberry puree to popsicle plus adding the popsicle stick at this time and return to freezer until completely frozen. 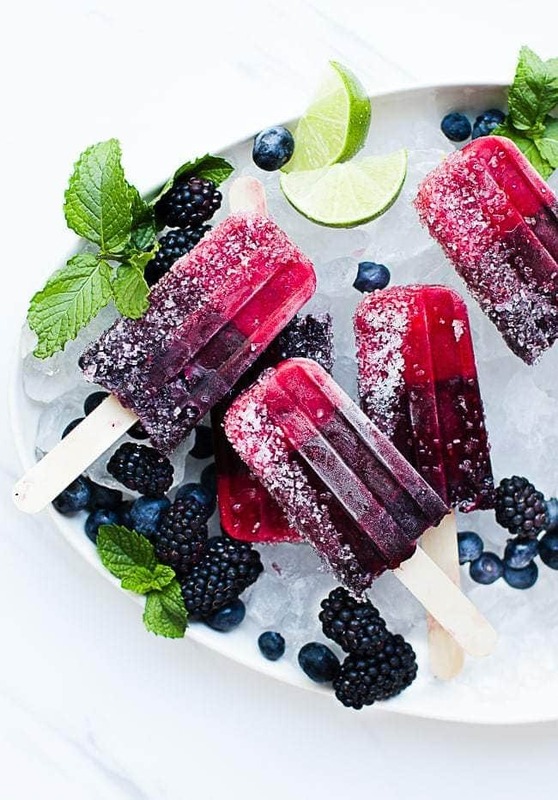 If course sugar is desired, remove popsicle from mold, splash a small section of popsicle with water, dip in sugar and return to freezer in air tight container until ready to eat. my kids love these!! 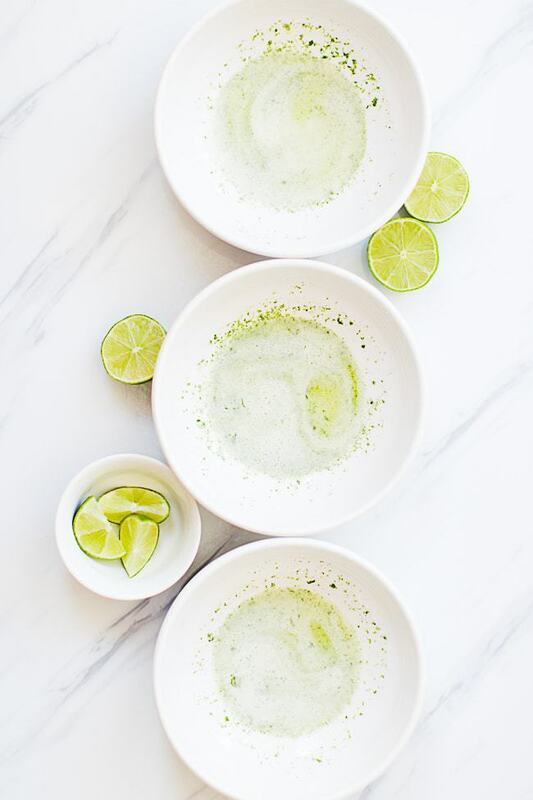 I love the hint of lime + mint! Great recipes kids love them and they are healthy!